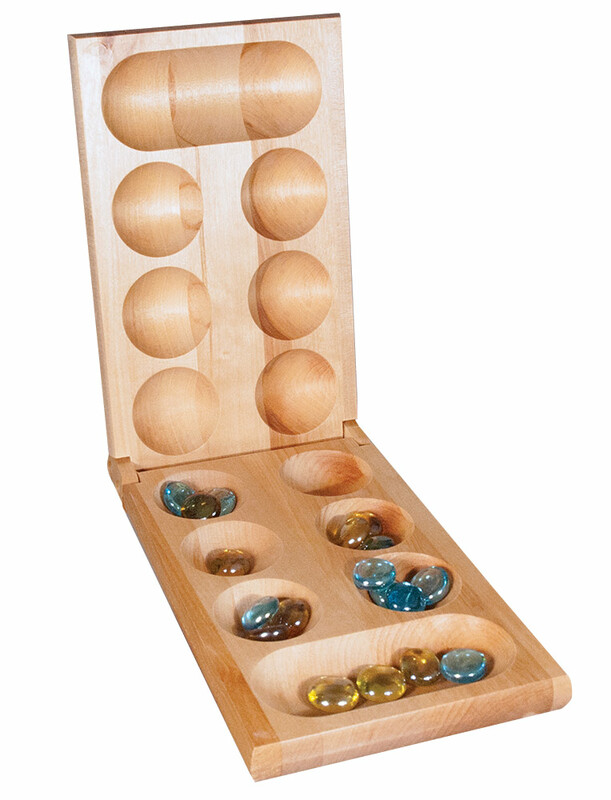 A family classic, Mancala is one of the world's oldest and best-loved games. Players take turns scooping up the special stones and counting them out one at a time into the pockets on the board. When they drop a stone into an empty pocket on their side of the board, they capture all the stones in the opposite pocket. It sounds like a simple marble game, but it's got plenty of strategy and reinforces Stem skills like counting and strategic planning. 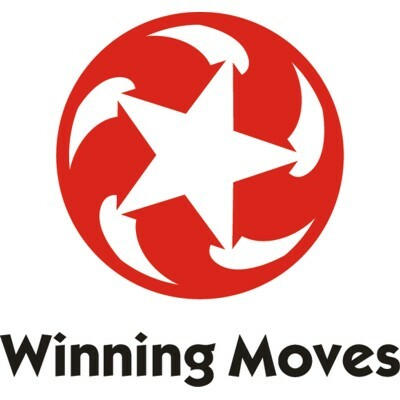 The player who collects the most stones wins. Great for home and travel- folds for easy storage. For 2 players, ages 6 and adult. Contains wood hinged playing board, 48 glass stones and instructions.